Kice Speed Spout is a system that includes over 550 types and sizes (typically 2”-8”) of standardized parts. Each is designed to meet rigid requirements in both gravity and pneumatic conveying lines. 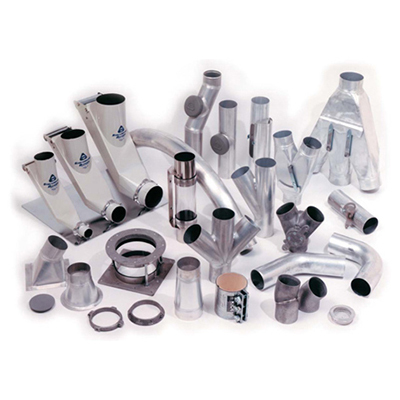 Speed Spout components are available in aluminum and steel/cast iron. Stainless steel and other specialty metals are also available upon request. From simple connections, to diverting or splitting, controlling flow, or product inspection Kice Speed Spout has what you need. Most components are available within 24 hours through Kice Sales and the Kice QuikShip Center.